These beautiful earrings are 3 inches long. 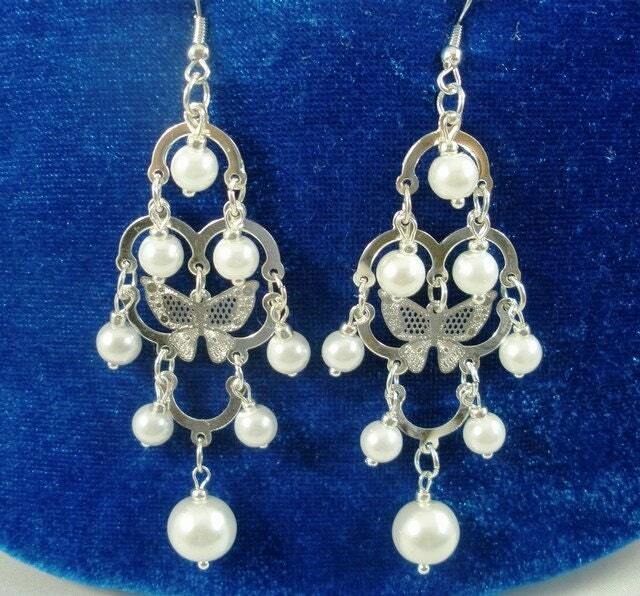 The earrings include white Swarovski pearls, glass beads, silver plated ear hooks, silver plated earrings, and silver plated butterfly. They will make a beautiful addition to any occasion!